This deeply thoughtful assemblage from Catalina Cariaga documents the search for cultural clues suggested by her title. She reveals her generational memory both circumstantially and directly, where in her childhood ‘the sea is woman,’ the barong (traditional shirt) is an ironic symbol, and Billie Holiday, grunion, and the exact procedure for citizen’s arrest — like a palimpsest — further define her point-of-view…This is a brave, innovative, and ultimately searing book. Catalina Cariaga is a pyrotechnic burst of light in the horizon of American poetry. 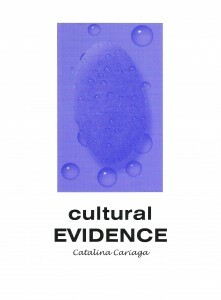 CULTURAL EVIDENCE is a worthy book of poems for all libraries and lovers of avant-garde literature. This vital first collection by California-native Cariaga is a deep, occasionally tentative consideration of issues of nation and selfAof belonging and exileAand of the temporal and cultural traces of the “subaltern.” The epigraph to section one is quoted from Theresa Hak Kyung Cha’s seminal avant-garde visual/literary work Dictee, and Cariaga, like Cha, strikes the reader with a various salvoApolyglot prose, “Language” style fragmentation, disembodied dialogue (taken, it appears, from a real or imagined Ilocano/English primer), and such quotations as a sequence of passages from the Bible, or uncorrected transcriptions of her arthritic father’s commentary on her poems: “All along you had good humor, but your/ last sentence is the real trougth. That/ makes an ending or conclusion.” Her lyricism runs from direct, formally uncomplicated linesAa short poem runs “Of course/ They didn’t eat dogs./ They didn’t have dogs./ If they had dogs/ they would have eaten them”Ato more sophisticated structures that suggest Projective Verse’s atonality, such as the charming, but haunting, poem about the mating season of the grunion. Other passages strike with the first-hand authority of a survivor, as in “No Mercy.” The long poem “No Tasaday” is a fascinating account of National Geographic’s potentially fabricated story on the Tasaday people of the Phillipine Islands, who, in some accounts, are merely a hoax: “the easiest way to visit the Tasaday is not in the caves, but in the Saturday markets” states one epigraph. 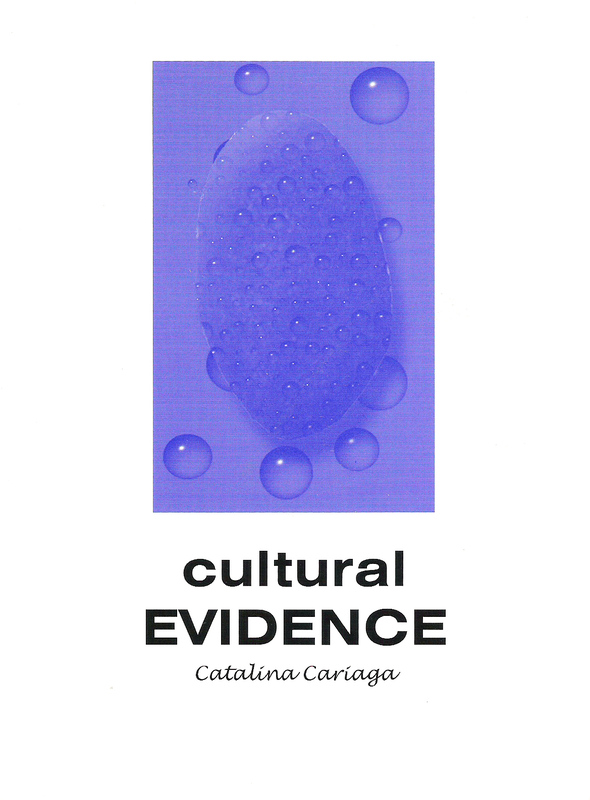 Whether deconstructing myths of anthropology’s objectivety, of “culture” as defined by different, often incompatible worldviews, or self-sustaining myths of non-fluid time, nation, place or language, Catalina’s passionate investigations provide ample evidence for their dispersal. Catalina Cariaga was born in Los Angeles, California (1958), and received her Bachelors of Music from Mount Saint Mary’s College in Los Angeles and her Masters of Fine Arts in Creative Writing from San Francisco State University. She is a contributing editor of Poetry Flash, A Poetry Review and Literary Calendar for the West. She has taught on the adjunct faculty of the Poetics Program at New College of California in San Francisco. Her poetry has been published in many journals including Chain, New American Writing and Zyzzyva. Cultural Evidence is her first book of poetry.